Tablets. Macs. Phablets. Cylinders. Live tiles. Windows RT jokes. Tim Cook. Elop talking Microkia. Fingerprints. Polycarbonate. 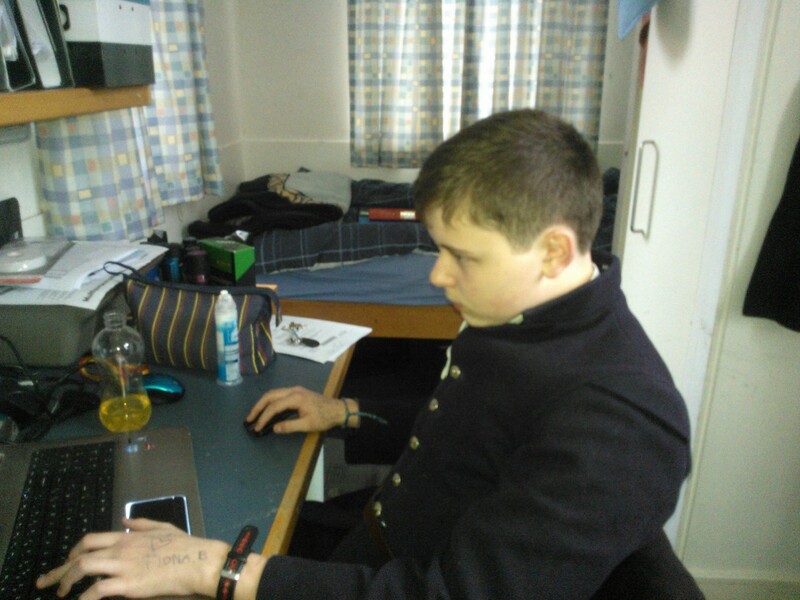 Aloomineeum. PureView. Fingerprints. Peripherals. Accessories. Beaches. Numbers. Gradients. Screen sizes. Phil Schiller being arrogant. Most of all, the return of our snark-tastic liveblogs. See you at 8am BST/3am ET/12am PT for Nokia World and 6pm/1pm/10am for Apple’s iPad/Mac event! Nokia’s first Windows Phone, the Lumia 800, was just what they needed to get back into the market. Running Windows Phone 7.5, the phone won multiple awards and the hearts of many consumers. Also announced at Nokia World in London at the same time was the Lumia 710, pitched as the affordable Lumia device. Now, this device has made it to the UK at a slither under £200 on pay as you go, but, with fierce competition from hordes of Android and BlackBerry devices in the same price range, is it enough to win people over? Internally, the 710 is almost identical to its more expensive bretheren, the 800 and the 900. The phone comes equipped with the same 1.4GHz single core Qualcomm MSM8255 processor and Adreno 205 GPU, resulting in snappy performance in everything we have tried with it. The phone has a 3.7″ display with the current standard Windows Phone WVGA (800 x 480) resolution and Nokia’s ClearBlack technology, allowing for deeper blacks and slightly more vibrant colours. While the 800 and 900 both use AMOLED displays for more vibrant colours, Nokia used an LCD to cut costs on the 710. It still looks quite good with the same 252ppi density as the 800, but, comparing the 2 devices side by side, the difference in the displays is very noticeable. As ever, the PenTile layout of sub-pixels causes occasional problems while reading text, however this can easily be rectified by zooming in when able to. The phone has fantastic viewing angles with very little discolouration occurring, with more problems being caused by the overly glossy screen. One of the main advantages of the 710 over the 800 is its removable 1300mAh battery, allowing for the obligatory battery pull if problems arise. Booting from a battery pull is incredibly quick, certainly around 3x quicker than my aging HTC Wildfire and also the HTC HD7. Nokia claim that the battery lasts around 7:40 on a single charge while connected to a 3G network, and we have found this to be not far off the truth. The phone is quite heavy at 125g, but it feels very comfortable in the hand. One problem I have with small screened devices is that they are often very thin and, as such, sit low down in the hand. The 12.5mm deep chassis feels fine in my hand, allowing my thumbs to move freely across the device without engulfing it as with the iPod touch. The phone is both thicker and heavier than my daily driver, the HTC Wildfire, but it is hardly noticeable in my pocket and I could easily move up to a phone of this size. Being a Nokia, it feels like it has been made with care, and that it could withstand anything. A sheet of Gorilla Glass is on the front to protect against cracks and scratches, but we didn’t want to test the ruggedness of it on fear of something going wrong. The phone requires a microSIM card which can be slightly awkward to insert and remove from its slot, but, most importantly for a phone, the call quality is fantastic. When using the O2 network, the Lumia provided crisp, clear sound, and the caller was very audible throughout. This feature of a phone is often overlooked, but it is good to see Nokia ensuring that users get the best experience from the HSPA+ radio inside. My biggest problem with the entire phone, however, is the lack of storage. Since the phone has no ROM, the OS takes up a good chunk of the paltry 8GB storage, leaving only 6.4GB free to the user. With no option to expand this with microSD, you must rely heavily on the cloud for your media consumption if you pick up the 710. Similarly to the 800, the Lumia 710 does not have a front facing camera but video calling with a phone is not something that matters to me. If you want this option available or feel it to be a necessity, then an HTC Radar would probably be the best option for you, despite the premium of about £80 over the 710. The rear facing camera lacks the Carl Zeiss optics of Nokia’s high-end cameras, but shoots decent, albeit slightly grainy, shots at 5MP in a 4:3 aspect ratio. 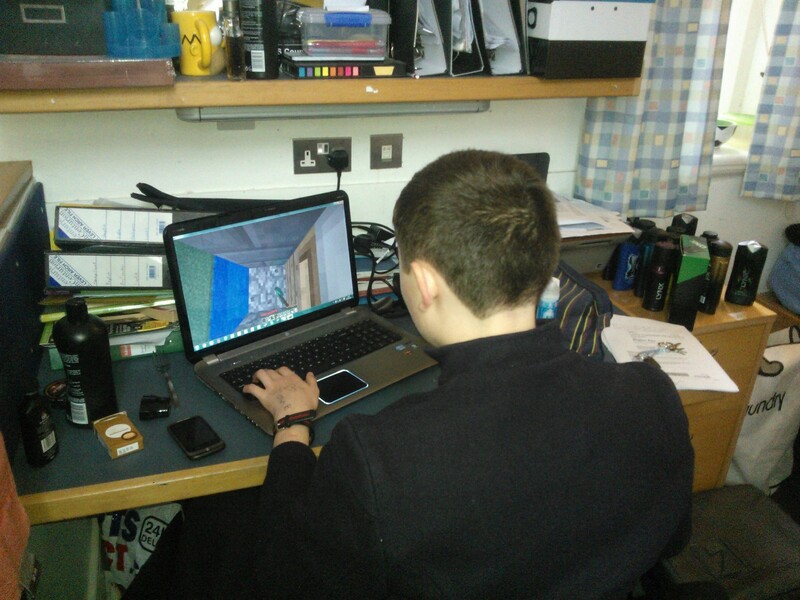 The phone also shoots video at a 720p resolution, but we are unable to upload the test footage at the moment. We will update this review when can to include this footage, which is surprisingly good, handling movement very well for a mid-range phone. 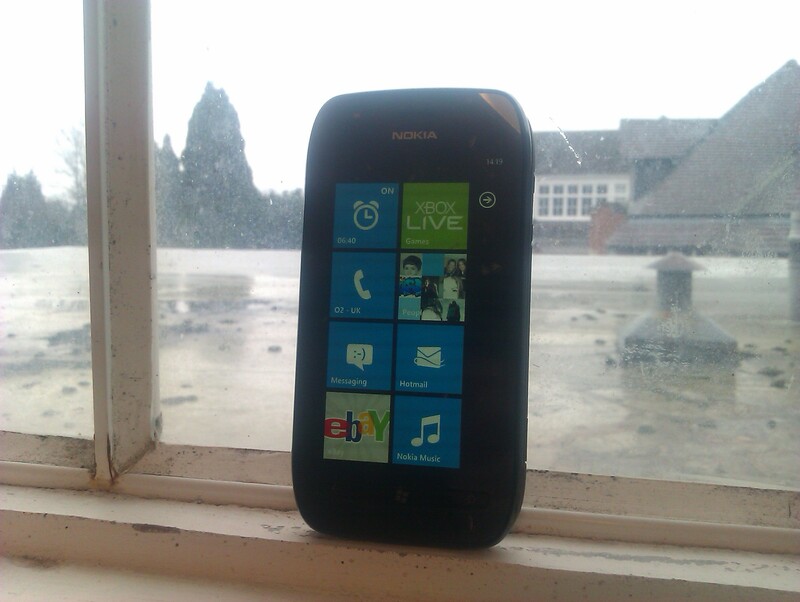 By and large, the phone has a stock Windows Phone 7.5 operating system which is as superb as ever. On the 710, it performs fantastically, with no problems handling games such as Rainbow Rapture and Crazy Survival. One thing that people use against Windows Phone is the relative lack of apps, however, at the time of writing, the Marketplace has reached As our unit came unlocked, it is fortunately free of carrier bloatware, but, as Nokia made clear at the unveiling in October, the Lumia range comes with a number of predominantly functional and useful pre-installed Nokia-centric/exclusive apps which can thankfully be uninstalled if desired. App Highlights – Basic app suggestions in 4 columns: Starter Kit, Top Apps, Promo and Cool Stuff. Contacts Transfer – A simple app that can be used to transfer contacts from your old phone via Bluetooth. ESPN – Just as you would expect, this app has the latest sports news and videos from ESPN. Great for sports fans. Marketplace – A Nokia Collection is featured in the Marketplace with the pre-installed apps along with other Nokia-exclusive apps WRC Live and TuneIn Radio. Network Setup – An app that allows you to select which mobile network to connect to. Pointless after first boot. Nokia Drive – Fully functional voice navigation for free – a great reason to buy a Nokia phone full stop. Nokia Maps – Nokia’s fantastic map service is now on all platforms, but it is still better than the pre-installed Bing Maps app. Nokia Music – Listen to mixes of music selected by Nokia, once again for free. A store is also available in the app. We Care – Nokia tell you that they respect your privacy and about what they do with your data. Waste of space. One thing that is missing is the ability to tether from the phone. Enabled with the Mango update, Nokia oddly chose not to include a tethering option in either the 800 or the 710 at launch. A software update enabling it was promised for the 800 so, should such an update ever come, the 710 should also be in line for the update. The lack of tethering is off-putting for me as I tether perpetually at the moment, but I could survive through the phone itself should it become necessary. No matter how you look at it, the 710 is the ugly duckling of the Nokia Lumia family. When compared to the elegant 800 with its sweeping curves and polycarbonate shell, the 710 is rather disappointing, something I mentioned when I wrote about the phone shortly after its launch. Granted, the phone does look a hell of a lot better in the flesh than any images could demonstrate, but there is something about it that doesn’t look right. 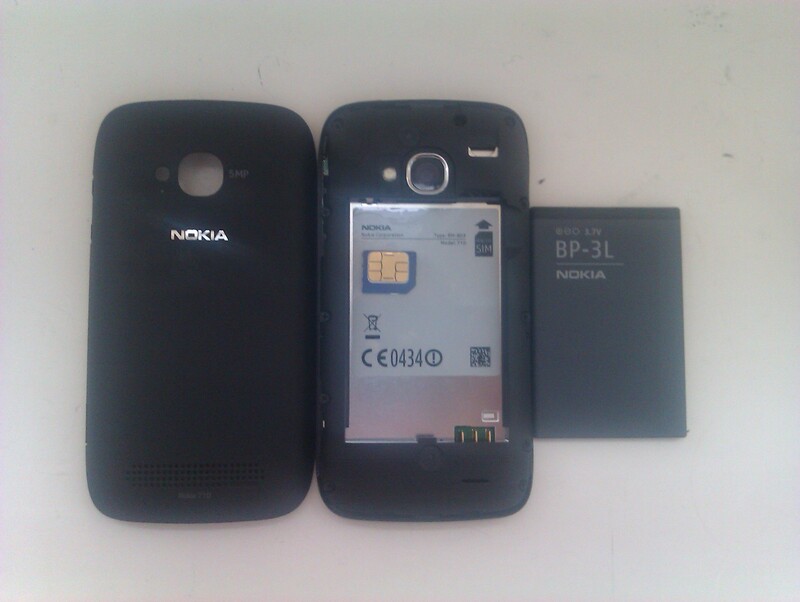 In accordance with how the N9 design was recycled for the 800, the 710 borrows its form factor from the Nokia 603, a phone released with Symbian Belle that, like the N9, has not had an official UK release. To appeal to certain demographics, the 710 comes in black and white with a whole host of interchangeable back covers to fit your mood. The black model that we reviewed came with black and blue covers out of the box, however I have yet to find a retailer that stocks the other colours. The black cover is coated with a soft-touch plastic and it feels very nice in hand, but I cannot say the same for the blue one. It feels of a lower quality and not as robust as its counterpart, and I think that the phone looks better as plain black anyway. The covers go on in a rather strange and fidgety manner. Unlike most battery covers which lock on from the bottom or top, the cover on the 710 requires connection on the right hand side at first, before wrapping around the device. Often, the case requires a further press above the camera lens to ensure a secure connection, and the method of removing the case takes some getting used to. Unlike the 800 and most other Windows Phones on the market, the 710 has physical keys at the bottom instead of the normal capacitive buttons. The strip feels solid, but aesthetically it is not pleasant. The LEDs for the back, Windows and search buttons appear quite far away from the surface of the plastic, which itself is almost flush with the glass on the front, making the buttons hard to press on occasion. I can’t help but think that capacitive buttons would have been a better choice, but I understand that the corners had to be cut somewhere to get the phone to be half the price of its polycarbonate brother. 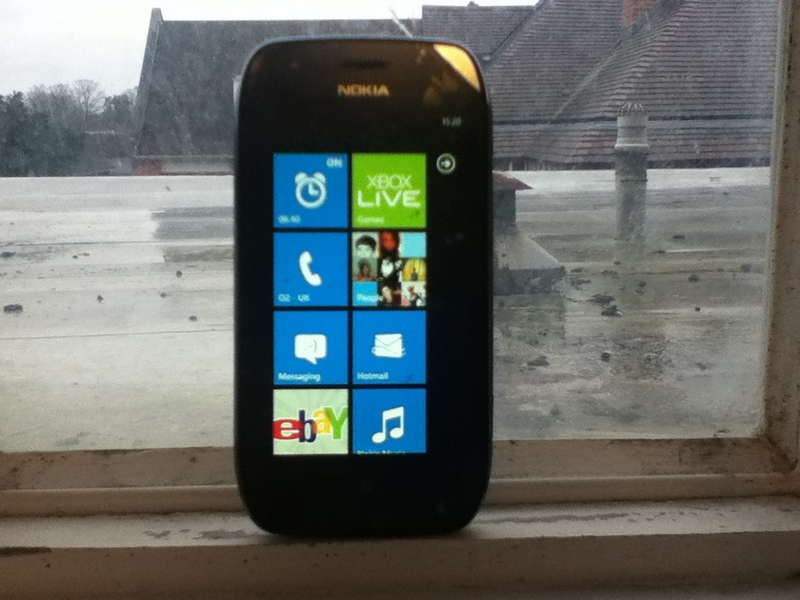 The Nokia Lumia 710 is a fantastic smartphone for those on a tight budget. For half the price of the 800, you get the exact same hardware, save for the display, the camera, the storage and the design. As I said, the phone looks so much better in the flesh than in pictures but undoubtedly the 800 and 900 look better. That being said, the phone is tremendous for the price. For Nokia to be selling such technology at such a low price is worthy of celebration, and I would thoroughly recommend this phone to anybody in the market for a great all-round smartphone at a low price. The two new Lumia phones both look very good. 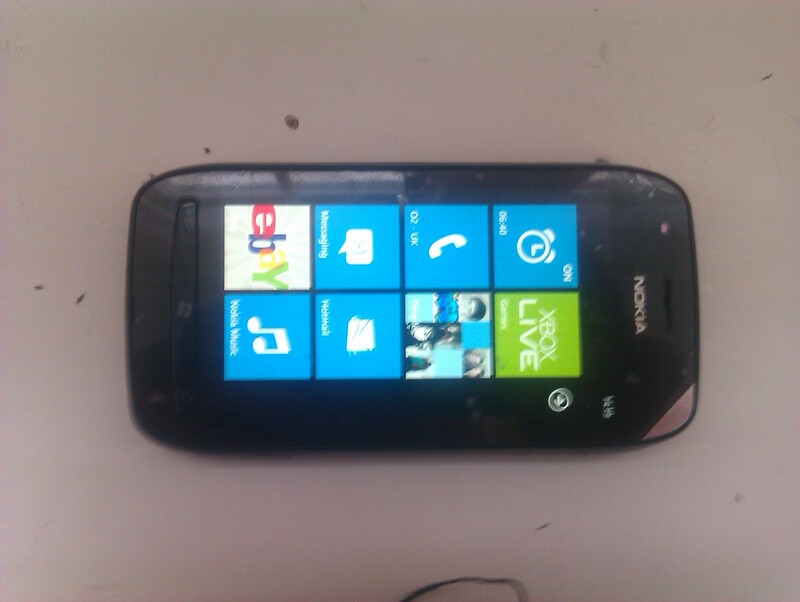 The Nokia Lumia 800 for a start looks fantastic. With a 3.7 inch AMOLED display, a huge 1.4GHz single core Snapdragon processor and 16GB of internal storage (along with the 25GB of free cloud storage that comes with all WP7 phones via SkyDrive) it can compete with most other smartphones. It also has a 1GB RAM and a wonderful 8 megapixel camera with 720p HD recording and Carl Zeiss optics. The Lumia 800 is looking to be a great phone. 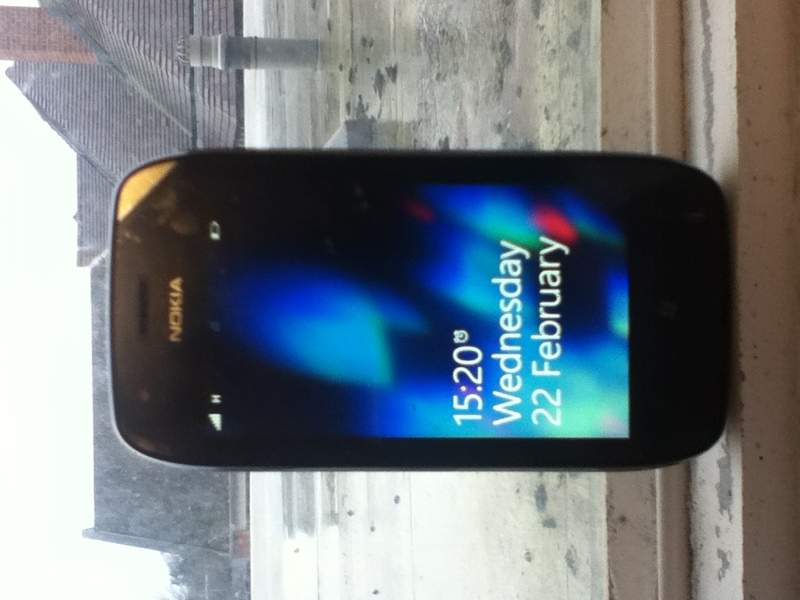 The Lumia 710 is the mid range Nokia WP7 device but in spite of this it still seems to have impressive internal hardware. With the same display as the 800. The camera is a decent 5 megapixel, and it also has the same 1.4 GHz procesor. However from the pictures we have seen the 710 looks quite cheap and tacky compared to the sleek look of the 800. However the idea of the swappable covers is good and the fact that Nokia are making them the same colours as the tiles on the home screen for Windows Phone is pretty good too. Both Lumia phones look to be successful in my opinion. Two new Nokia smartphones have been leaked just hours ahead of their expected announcement at Nokia World in London tomorrow. These are the Lumia 800 and the Lumia 710, both appearing to run Windows Phone 7. The recent teasers that have been adorning British TV have clearly been showing the Lumia 800, while the Lumia 710 appeared earlier this week code-named Sabre. Nokia World: The Mangoes are coming! Nokia World begins in London next Wednesday and last night at AsiaD Andy Lees, president of Windows Phone, had a few things to say about Nokia’s plans for the event. Bearing in mind that we all love Windows Phone here at Digixav (with the possible exception of Bada-mad Chris), this is great news for us so head past the break to read what he had to say.